Today's So Shoe Me is the Jackson Shell Stiletto by Haus of Price available exclusively at Statnton James, $245.﻿ Haus of Price is basically DIY on steroids. The shoes you would want to make, but don't look like you made them. While they are known for their blinged-out pumps I love the natural and organic vibe coming from these allover shelled 5-inch stiletto pumps. Perfect to pair with an easy spring wardrobe or as an unexpected statement shoe with a no-frills LBD. 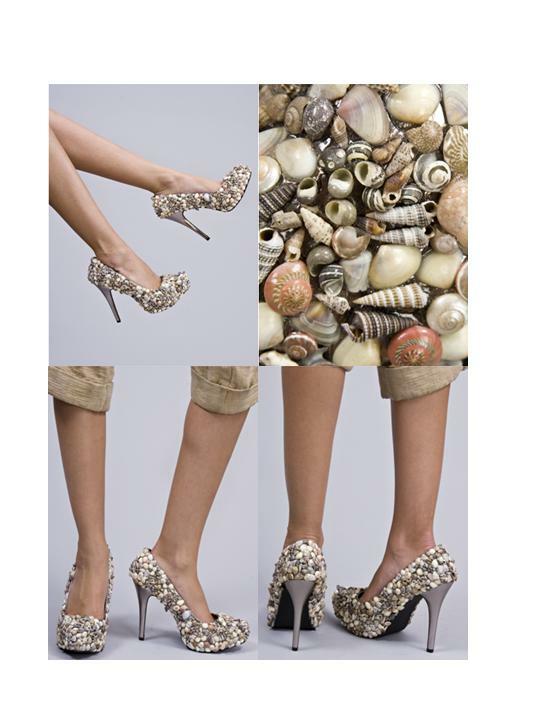 So Shoe me a pair of high style pumps shore to bring a punch of seashell fashion.